Let’s get the big news out of the way first. Mercury retrograde ends on Thursday, and for many of us this particular retrograde was a doozy. Many astrologers would at this point observe that once Mercury retrograde is over, it continues in its “shadow period” until it has made up the degrees it has lost — and that goes on until mid-April. Those astrologers would also point out that Mercury will still be in Pisces, and that tends to be a somewhat impaired place for it, so you still better be really careful with your plans and communications. 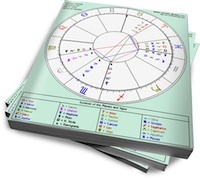 Furthermore, since transiting Mercury is conjunct Neptune for the first part of this week, those astrologers would point out that Mercury is still not functioning properly this week, retrograde or not. I am not one of those astrologers, because frankly you’ve had enough of this Mercury retrograde crap already, so I won’t bring that up. The big news on the romance front this week is that both Venus and Mars are changing signs. On Tuesday, Venus enters Pisces. If Pisces is considered a bad place for Mercury to be, it’s a fantastic location for Venus to hang out in. Pisces is the sign in which Venus is exalted, and thus Venus is considered to be at its strongest there. A strong Venus, in and of itself, is no guarantee that your love life will suddenly start running brilliantly, but as a general rule it’s a lot more cuddly and romantic than Venus in Aquarius was. Adding a little excitement to the romance outlook this week is Venus sextile Uranus, which is exact on Wednesday but manages to fill the entire week with the potential for new love, new excitement, and new ways to spend your money. Venus in Pisces is a nice girl, but sometimes she’s got to pump the gas a little to get what she wants. This aspect can help do exactly that. Oh, never mind. Just ask him/her out already. I’m sure it will be fine.